Office of the Campus Registrar, Jamaica. 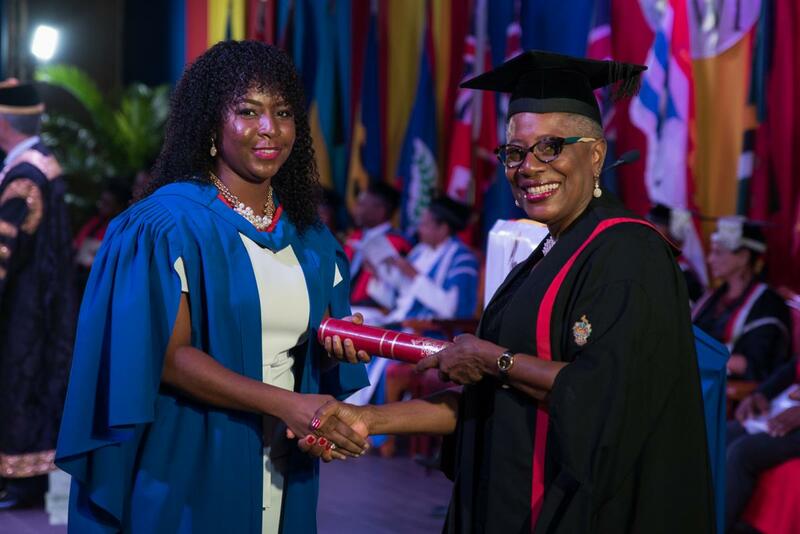 Monday, October 29, 2018 - On October 13, 2018, the Open Campus of The University of the West Indies (The UWI) recognized the accomplishments of graduates for the 2017-2018 academic year at an official ceremony held at The Royalton Resort and Spa in Saint Lucia. This year, seven hundred and forty-five (745) students (516 undergraduates and 229 postgraduates) graduated with degrees, certificates and diplomas in a wide range of subject areas. 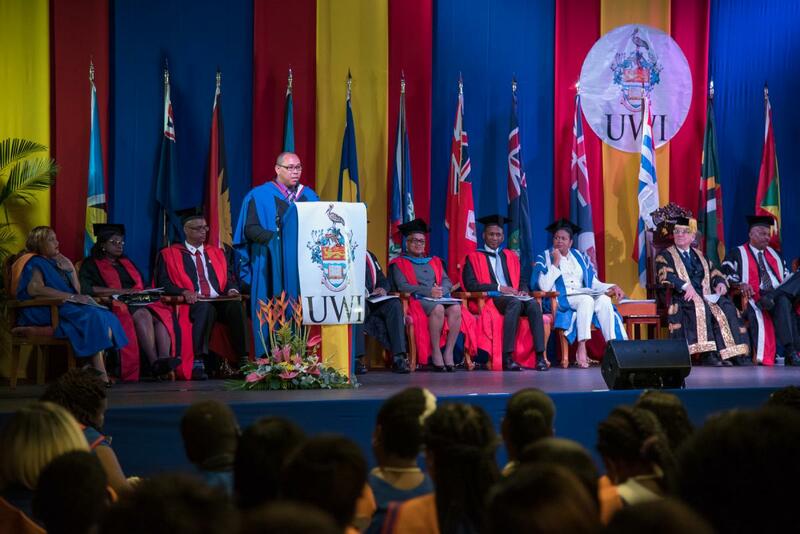 Of these one hundred and eighty (180) attended the official Graduation Ceremony, crossing the stage with pride towards Mr Robert Bermudez, Chancellor of The University of the West Indies, who graciously shook the hand of each graduate, in turn, while congratulating them on their success. Other dignitaries in attendance included former Governor General of Saint Lucia Dame Pearlette Louisy, President of the Senate Hon. Jeannine Michele Giraudy-McIntyre, Speaker of the House, Hon. Andy Glen Daniel, Minister of Education, Innovation, Gender Relations and Sustainable Development, Hon. Dr Gail Rigobert and Minister in the Ministry of Finance, Hon. Dr Ubaldus Raymond. 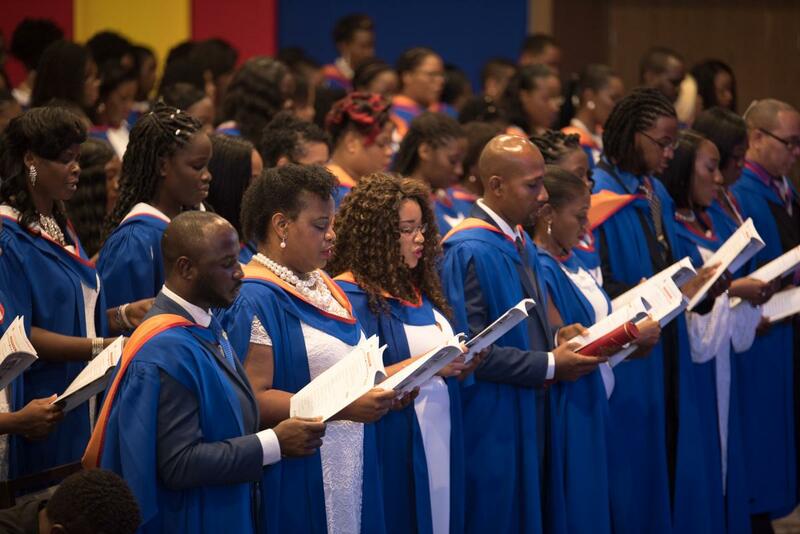 The Chancellor and Vice-Chancellor of The UWI, members of the University’s Executive Management, other top level University officials, as well as family and friends of the graduates, were also in attendance. In a speech that focused on the excellent improvement in the menu of employment opportunities available to graduates in the “gig economy”, Chancellor Bermudez exhorted graduands not to allow themselves to be boxed into traditional modes of earning a living. 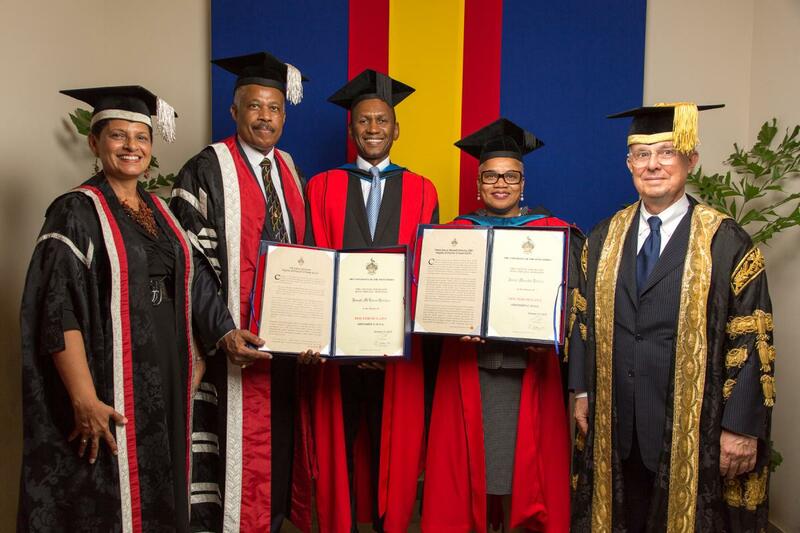 This was followed by the conferment of an Honorary Doctorate of Laws (LLD) on two Caribbean citizens - the Honourable Dame Janice Mesadis Pereira DBE from the British Virgin Islands, for her service to the legal profession and Mr Larry Quinlan from St. Kitts and Nevis, for his influence and work in leadership at the global level. Mr Quinlan’s stirring contribution was followed by performances by Ms Jasmara Nelson and Ms Barbara Cadet, whose rousing renditions of the appropriately chosen pieces “You’re Simply the Best” and “I am a West Indian” respectively, were met with thunderous applause by all present. Delivering the Valedictorian’s speech this year was proud member of the indigenous Kalinago Community of Dominica, Mr Kirk Edwards who completed his Bachelor of Education (BEd), Mathematics with First Class Honours. While lauding the Open Campus for living up to its promise of “Opening Doors to Life-changing Learning,” he also used his platform to call for more STEM programmes (Science, Technology, Engineering and Mathematics) to enhance the current suite of programmes offered. Amidst loud bursts of applause and the vigorous waving of national flags, the Class of 2018 was presented with their individual scrolls by Campus Registrar, Mrs Karen Ford-Warner – the tangible evidence of their individual academic achievements. The formal ceremony concluded with the Chancellor bringing the proceedings to an end and the singing of the University Song. An official reception generously hosted by the Government and People of Saint Lucia for the graduates and their guests, brought the celebration to a close. 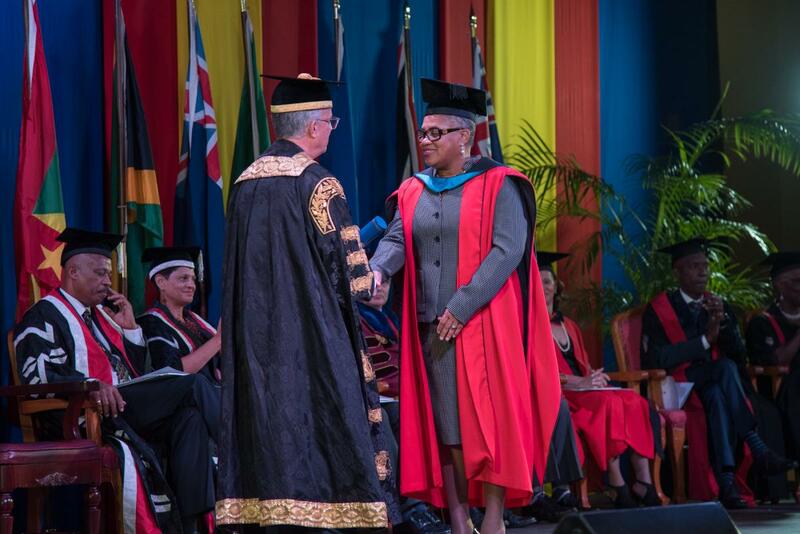 Photo 1: Chancellor of The UWI, Mr Robert Bermudez presenting Honorary Graduate, Hon Dame Janice Mesadis Pereira with her scroll at The UWI Open Campus Graduation Ceremony held in Saint Lucia on October 13, 2018. Photo 2: Honorary Graduates, Mr. Larry Quinlan and Hon. Dame Janice Mesadis Pereira (centre) pose with (left to right) Dr. Luz Longsworth, Pro Vice-Chancellor and Principal of the Open Campus; Sir Hilary Beckles, Vice-Chancellor of The University of the West Indies and Mr. Robert Bermudez, Chancellor of The University of the West Indies. Photo 3: The Valedictorian, Mr. Kirk Edwards addressing the 2018 Graduating Class at The UWI Open Campus' Graduation Ceremony held in Saint Lucia on October 13, 2018. 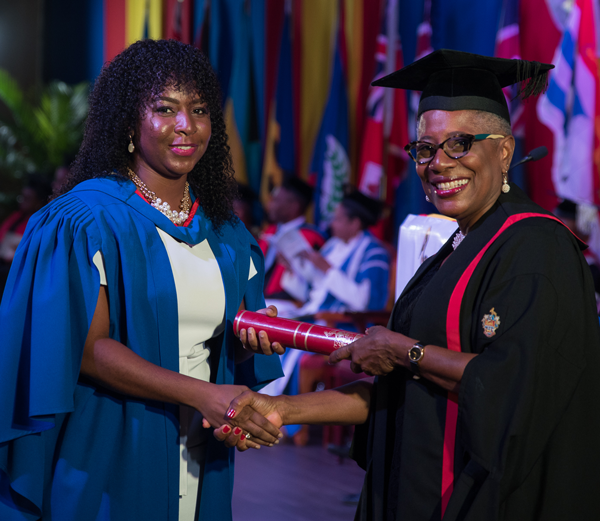 Photo 4: The Campus Registrar, Mrs Karen Ford-Warner handing the scroll to one of the Graduates at The UWI Open Campus Graduation Ceremony held in Saint Lucia on October 13, 2018. Photo 5: Members of the 2018 Graduating Class at the at The UWI Open Campus' Graduation Ceremony held in Saint Lucia on October 13, 2018.